I’m an avid Etsy shopper, for those of you who don’t know. I found this gem at the Get Your Nerd On shop, and just had to share. This shop has so many witty prints for geeks/nerds, and if you’re into wall art definitely check it out below. 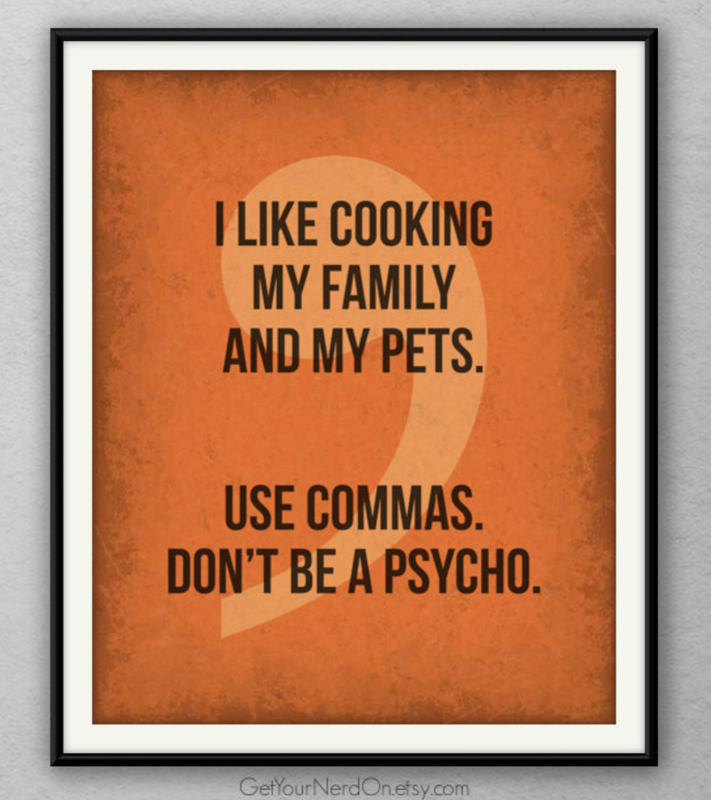 This entry was posted in All, Geek Culture, Humor and tagged books, commas, Etsy, Etsy poster, funny, funny poster, geek, geek girl, geek humor, geek life, geek poster, geeks, grammar nazi, grammer, humor, nerd, nerd girl, nerd humor, nerd poster, nerds, novels, poster, use commas, writer, writing, writing humor. Bookmark the permalink.